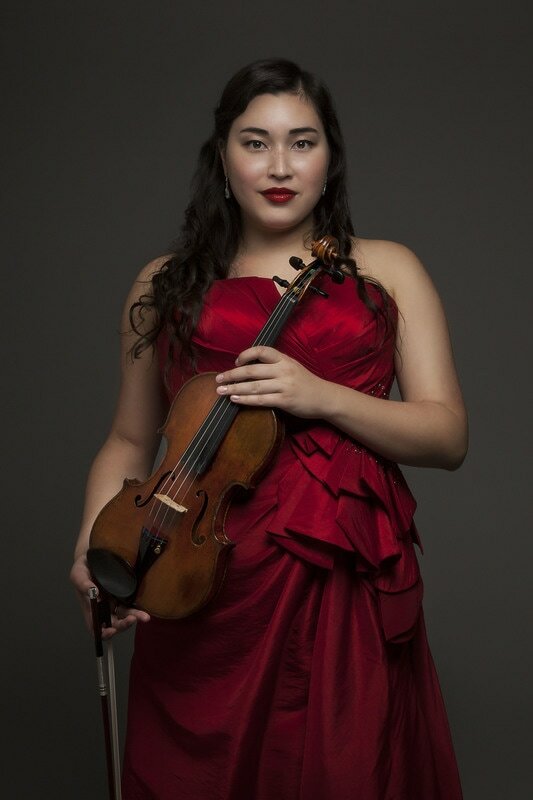 Canadian violinist, Christina Bouey, is hailed by The New York Times for playing “beautifully;” by New York Post, “When violinist Christina Bouey spun out that shimmering tune, I thought I died and went to heaven;” and by Opera News, for playing “with exquisite, quivering beauty.” Among her awards and prizes include the Grand Prize at the Fischoff Competition, Hugo Kortchak Award for outstanding achievement in chamber music, Heida Hermann International, Canadian National Music Festival, Queens Concerto Competition, and the Balsam Duo Competition. Christina has performed as soloist with the Tonkünstler Ensemble, Metro Chamber Orchestra, Bergen Symphony, Manhattan School of Music Orchestra, Prince Edward Island Symphony, Banff Orchestra, Shattered Glass and the Hemenway Strings. Her solo and chamber performance credits include Carnegie Hall, Esterházy Palace, Yamaha Center Auditorium, Metropolitan Museum of Art, Harvard Club of New York, the Chromatic Club of Boston, Montreal Chamber Festival and the Indian River Festival. She has also been featured on WQXR New York. Christina has collaborated with artists such as Jeremy Denk, Paul Coletti, Lynn Chang, David Geber, Clive Greensmith, Joji Hattori, Nicholas Mann, Irina Muresanu, and Bright Sheng. In June 2014, as part of the 150 year celebrations on PEI, Juilliard dancers performed a modern dance to her first compositional commission for solo violin, with Christina playing it on the violin. Christina is currently serving as concertmaster of the Cayuga Chamber Orchestra and is a member/founder of the Ulysses String Quartet. She plays a 1900 Scarampella on generous loan from the Canada Council Instrument Bank.